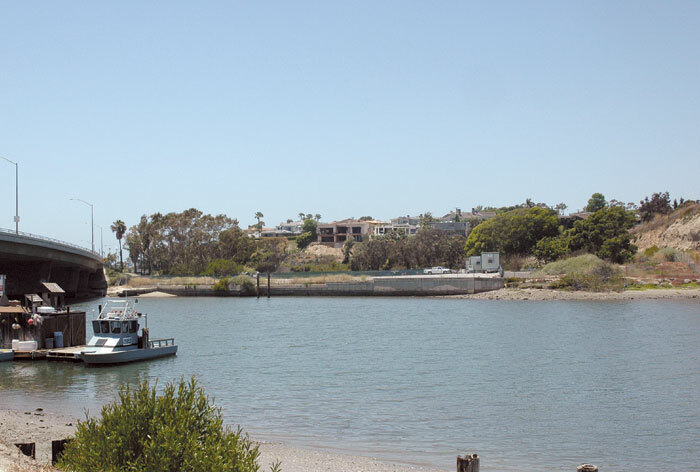 NEWPORT BEACH — A Newport Beach Harbor Commission Lower Castaways Subcommittee study session was held to generate ideas for possible uses for the city’s last undeveloped parcel of waterfront land. The meeting served as a forum for many boaters to rally support for local shipwright Dennis Holland to use the site to rebuild his historic 72-foot vessel, Shawnee, during the interim planning period. Several speakers asked Newport Beach Harbor Commission members to consider allowing the Newport Beach resident to move his 1916 ketch over to the 4-acre parcel while the city decides the site’s future. The subcommittee — which includes commissioners Brad Avery, Karen Rhyne and David Girling — has been developing recommendations for the “highest and best public use” of the Lower Castaways property. Questions of what will be housed on the site have been raised since the city acquired the parcel from the Irvine Co. in 2008. Holland began working to rebuild Shawnee in the side yard of his Newport Beach home in 2006, but he ran into problems when a few neighbors complained about the project to city officials. In 2009, the city created an ordinance banning long-term large construction projects on residential land. When Holland insisted that the city stick to its original agreement to permit the project, hoping to be grandfathered into the new rule, the city moved to sue Holland in June 2011, to put a stop to the boat project. Superior Court Judge Gregory Munoz issued a preliminary injunction March 1, giving Holland until April 30 to remove the boat from the yard. “This would be — for a so-called ‘sailing city’ — a way of maybe, in a number of sailors’ minds, redeeming (itself after) the rather shabby treatment that Dennis received from the city,” Glass said. A second resident supported the suggestion as one that would allow the shipwright to involve the public, by training volunteers in shipbuilding traditions. The construction process would be similar to what is now taking place in San Diego, where volunteers are building a historic ship replica of San Salvador at a public location. Glass mentioned that Holland is still actively working to put the boat back together. Holland was not available for comment at press time. Executive director of Orange County Coastkeeper Gary Brown offered another idea for the waterfront land, proposing a marine restoration and education center that would house marine labs where kelp and green abalone could grow. Yacht broker Len Bose suggested a commercial-type launch ramp or a marine recycling center. Another speaker suggested a “clean water camp,” where schoolchildren could cruise or sail aboard vessels donated by yacht clubs and other benefactors participating in bay cleanup projects. Other ideas included making Lower Castaways a hub for cyclists, hikers and boaters — possibly providing a coffee hut or a restaurant where people could convene before or after a bike ride, a hike or a day out on the water. A launch ramp for trailerable boats, an emergency boat launch and a launch that would be limited to unmotorized craft were among other ideas proposed at the meeting. “The city of Newport Beach has only one launch ramp — which is subject to closure — so, there are compelling reasons to pursue a launch ramp. But there are many challenges that go along with that,” said Harbor Commissioner David Girling, who sits on the subcommittee. Vehicle access to the site is one such challenge, since the parcel’s location at East Pacific Coast Highway near the bridge next to Dover Drive poses access limitations for both vehicles and boats. There is a limited right turn in and right turn out, and a merge lane on Dover Drive is positioned in front of the parcel’s driveway. An idea to house a boat storage facility at Lower Castaways will need to be revisited, since the city is currently processing an application for a comprehensive plan to develop a mixed-use “Seaside Village-type” project at the Back Bay Landing site, said Jaime Murrillo, associate planner for the city of Newport Beach. The project may include construction of an enclosed dry stack facility that could accommodate up to 140 boats. A community garden and a launch area for a city water taxi system were also suggested for the Lower Castaways site. “It is our intention for this to be a very deliberate, very public-oriented process, and one that we are not going to rush into,” Girling said. Once the subcommittee identifies viable options, they will be submitted to the city council for consideration.